Although I’m on sabbatical, I agreed to give a “coffee hour” workshop for WiSE (Women in Science and Engineering). I had originally offered to repeat the “Speaking Loudly” workshop that I gave last year, but the organizer requested that I talk about becoming an engineering hobbyist. We finally settled on the title “Becoming a Maker: resources for a hobbyist engineer”, to be presented Monday 14 Nov 2016 (2:45–3:45)—no location has been identified yet in Biomed 200. This post is an attempt to collect my rather scattered thoughts on the topic. It is a topic I’ve talked about before—the last day (sometimes the last week) of my electronics class is always selected by student requests, and one topic that was requested last spring was for resources to continue on in electronics as hobbyists. This audience will be a bit different, I think—more like the students at the beginning of my electronics course than at the end of it, so I’ll probably have to find some lower-level tutorials. The material should also be useful for my freshman design seminar. I’d really appreciate suggestions for more resources to add to this list, or categories of resources I’ve omitted. Basic categories of resources are suppliers, workspaces, tools, project idea sites, tutorials, hobbyist forums, and blogs. For electronics parts, I generally use DigiKey, but sometimes Mouser, Jameco (for wire and MeanWell power supplies), Parts Express (for loudspeaker “buyouts”), AliExpress (for cheap generic Chinese parts). Ebay has some of the same Chinese companies as AliExpress, and searching Ebay is sometimes a bit easier. Digikey generally has the best search capabilities of any of the electronics distributors, is very fast on delivery, and generally has very low shipping costs. But they don’t carry everything, and their prices are not always the cheapest, so it is sometimes worthwhile to do some comparison shopping. If Texas Instruments have the part you want, there are often free samples available on their web site if you just need one or two—worth checking for pricier parts. For microcontroller boards, I use PJRC (Teensy boards), AliExpress (for very cheap development boards of standard processors), and occasionally DigiKey. 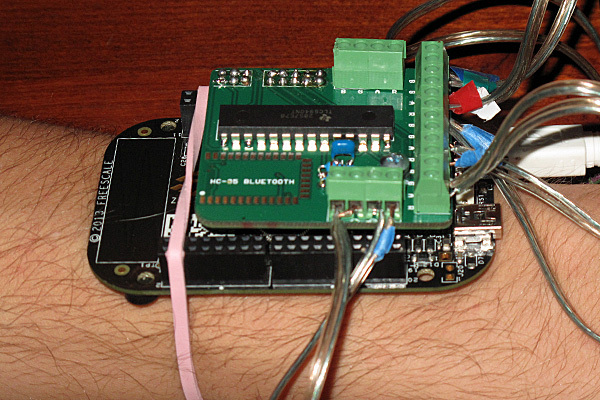 Microcontroller peripherals. When I was starting out, I bought a fair amount from Sparkfun and Adafruit Industries, and I still enjoy reading their advertising emails, but I don’t buy many of their products any more. They do provide a lot of support for beginners, though, with blogs, tutorials, and online forums, so should definitely be included on my list. Sparkfun had an educator discount program, which offered 20% off, but they just changed this to a “flexible” discount program where you have to negotiate with their educator staff. I’ve never liked that sort of non-transparent pricing, where how much they like you determines how much things cost. You’ve created a PCB design, gotten some prototypes made and tested, and now you want to go to production, anywhere from a few hundred pieces to tens of thousands. Here’s how to get get quotes from a bunch of cheap Chinese manufacturers. You’ll create an account on alibaba.com (use an email you’re okay with a lot of overeager manufacturers having), and then you can post a buying request. Make sure to give all the relevant details about the PCB (thickness, finish, soldermask color, RoHS compliance, etc. ), to note any special assembly instructions (bending leads, applying heat-shrink, etc.) and descriptions of unusual components, to request quotes both for your full order quantity and for samples, to request that they include the cost for DHL shipping in the quote, and to attach gerber files, the bill of materials, and an assembly drawing or placement file. Once you’ve posted the request, you’ll get responses over the next few days. These will mostly be through the Alibaba website, but some manufacturers might email you directly, and some might do both. On the “Quotations” tab for your request, there’ll be a list of manufacturers who’ve responded. For each one, you’ll see what looks like a quotation, with a picture, quantity, and price, but it’s probably copy-pasted and meaningless. You want to scroll to the messages, where you can see a probably copy-pasted message saying that they’re interested. If you reply to this or email them, they’ll typically get back to you with a quotation. You might need to prompt them to include shipping in the quote, or to quote for the quantity you actually requested. When you have multiple questions or notes for a manufacturer, put them in a bulleted list, as that makes it more likely they’ll actually respond to each point. Once you have a few quotes, you can negotiate, but often at least one of the quotes will be cheap enough that’s it’s not worth the time to haggle. Once you’ve found a few manufacturers that are easy to communicate with, understand your design, and have reasonable quotes, you can order samples. Samples are very unlikely to be free, but will be cheap relative to the full order. Once you’ve received samples and chosen a manufacturer, you can go ahead and order. There are a few different ways to pay: for small orders like the samples, PayPal is convenient, but for larger amounts manufacturers don’t like it because of the fees. They prefer bank transfers (TT), though you will assume the risk there, since these aren’t reversible. I haven’t had any issues using them, but Alibaba does provide an escrow service (Alibaba Secure Payment), if you’re nervous. For mechanical parts, I often just go the hardware store—either Westside Hardware or the hardware store on River Street that has changed its name so many times I’ve lost track of their current name (Google Maps has “ProBuild”, but I don’t know it that is up-to-date). When I need some specific material or hardware that is either hard to get or expensive in the hardware stores, McMaster-Carr has been my best source. They have a wide selection of hardware and materials, with prices that are ok for prototyping. You have to know what you are looking for, though, as browsing their website is not easy. There are also numerous specialized sites for specific hobbies (RC cars, model airplanes, model rockets, …) and some of the stuff is usefully repurposeable (like the mounting hardware for model-airplane propellers is good for mounting other rotating objects). When I’m looking for enclosures, I often go to the crafts section of Palace Arts for the cheap wooden boxes sold for decoupage, or to the thrift stores in Santa Cruz for wooden bowls. Santa Cruz has a number of good thrift stores—I’ve had the most success at the thrift store at the corner of Water and Poplar on the Eastside, but Salvation Army and Goodwill downtown are also worth checking. For tools, I check Harbor Freight, Amazon, AliExpress, and Ebay and I do general Google searches. The Harbor Freight tools are generally cheaply made, but usable. Santa Cruz is not great for sewing stores—Hart’s Fabrics on Seabright, Judy’s Sewing and Vacuum Center, and Beverly’s Fabric and Crafts are about it. There are also some knitting shops (good places for finding yarn), but all the weaving stores have closed. Finding places to build stuff at UCSC is hard—the space crunch for instructional space and student space is severe. There aren’t the lightly used spaces that can be repurposed that many other colleges have. Part of the problem here is a decades-long focus by the system-wide UC administration on building research space with little or no attention to instructional space and student space. The Baskin School of Engineering has a tiny Fab Lab space in Baskin Engineering 138: 538 square feet with a few benches, a drill press, a scroll saw, and a laser cutter. Access to this space requires getting safety certification, see https://bels.soe.ucsc.edu/FabLab for details. The Physical and Biological Sciences Division has an underutilized student machine shop in the basement of Baskin Engineering. There is some information at http://pbsbo.ucsc.edu/facilities/shops/machine/index.html, but they carefully do not include any prices—I’ve been told that their basic machine shop training is expensive and that the hourly rate to use the shop is also high. The high prices and general lack of marketing for the shop probably both contribute to the low usage. 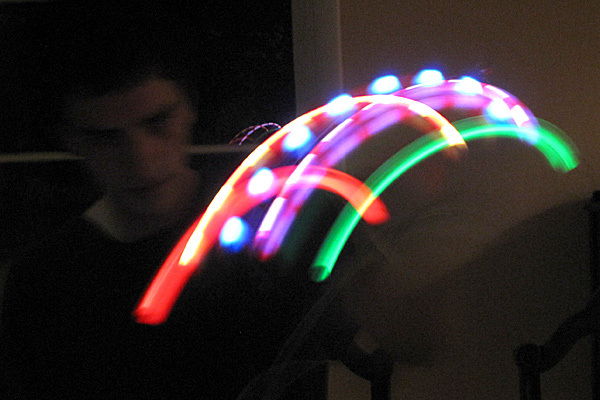 The Arts Division has the OpenLab Research group http://openlabresearch.com/, which includes the Digital Arts and New Media mechatronics work http://openlabresearch.com/ucsc-digital-arts-and-new-media-program-with-openlab. I don’t know what space or equipment they have, nor how students can get access to it. In the Santa Cruz community, there is also Idea Fab Labs in the Wrigley Building (2879 Mission St, Santa Cruz) https://santacruz.ideafablabs.com/, which has a good laser cutter, 3D printers, an electronics workbench, woodshop tools including a CNC Shopbot, a jewelry-making station, and a sewing/fabric arts station(more tools info at https://santacruz.ideafablabs.com/facility/). They have lots of space and they have a weekly open house Mondays 5:30pm–8:30pm “where the public is invited to see our equipment, take tours, and get a feel for the facility.” Their prices are generally a bit high (rent is expensive in Santa Cruz), but they have a student special price for UCSC and Cabrillo students that is quite reasonable (see https://santacruz.ideafablabs.com/techstudent/). If you are working with wood, plastic, or fabric, they offer more capabilities than any of the UCSC spaces, but they don’t have tools for working with steel nor specialized tools like small CNC mills (used for PCB prototyping and microfluidics). There are, of course, other places one can work. The Bike Church at the Hub (703 Pacific Ave, Santa Cruz) has classes and open bicycle workshop hours http://bikechurch.santacruzhub.org/ if you want to work on repairing, modifying, or building bicycles. The Bike Coop on the UCSC campus also provides some space for bike repair. For electronics work or jewelry, a desktop in an apartment or dorm may be all the space you need for working. What tools you need depends on what you want to do and how much space you have to do it in. I have been slowly acquiring tools for about 40 years, so I have a lot—but I often need to buy some new tools when I start a new project. Most of my projects are electronic, but I have found it useful to have a few woodshop tools as well (a drill press and a scroll saw, for example) to handle the mechanical parts of whatever I’m building. A toolbox to keep your hand tools organized is very useful—what size you need depends on how many tools you have (I have a huge 42″ wide toolbox on wheels (see New bedroom furniture), and I still have a lot of tools that don’t fit in it). breadboards for prototyping. These are more like consumable items than tools, because the spring contacts do wear out after a while. I usually have 3 or 4 with different projects on them, and I often need to decide which older project to sacrifice when I start a new one. wire. You need the right size wire to use breadboards. I’ve had the most success with 22-gauge solid hookup wire, but it is possible to use cheaper 24-gauge wire, if you don’t mind wires coming loose occasionally (I find that debugging loose wires is such a time sink that the slightly higher price of 22-gauge wire is well worth it). I keep the wire I’ve cut and stripped for breadboarding in ziploc bags, sorted by color, so that I can quickly find what I need. I also have skeins and spools of wire, for when I don’t have an already cut piece of the right size. microcontroller board. A lot of hobbyists start with an Arduino microcontroller board, because there is a lot of hobbyist infrastructure (beginner tutorials, easy projects, boards for interfacing various peripheral devices, …). Personally, I prefer the Teensy boards, which are more powerful, cheaper, easily interfaced to a breadboard, and use the same Arduino development environment. My son and I have also developed software to use the Teensy boards as a fairly powerful data-acquisition system (PteroDAQ) that makes it easy to collect data. Digital multimeter. A $10 multimeter like the DT9205A is a useful debugging tool for electronics. Soldering iron. If you want to make something permanent in electronics, soldering has been the go-to technology for as long as there has been electronics. (Soldering itself goes back at least 4000 years.) I used to use a cheap $10 soldering iron, upgraded to a $25 soldering station, and eventually to a $100 temperature-controlled soldering station. The better iron is nicer to work with, but you can use a cheap iron if that’s all you can afford. For any iron be sure to keep the tip clean and tinned, and don’t leave the iron running when you are not actively using it—hot tips corrode quickly. A board holder is nice to have if you do a lot of soldering. My favorite is the Panavise Junior (model 201), but I recently bought a cheaper holder (https://www.amazon.com/gp/product/B00Q2TTQEE) that can hold larger boards and looks like it will be reasonably functional. An oscilloscope is very nice to have, but will run you $300 or $400 for one that is useful. The Rigol oscilloscopes (http://www.rigolna.com/products/digital-oscilloscopes/) look like good value for the money for a conventional digital oscilloscope, and the Analog Discovery 2 (http://store.digilentinc.com/analog-discovery-2-100msps-usb-oscilloscope-logic-analyzer-and-variable-power-supply/) looks like a a good value for a USB oscilloscope (paired with your laptop). I’ve not yet used either one, so this recommendation is entirely hearsay. Many of the companies that sell to hobbyists have tutorials. I know that Sparkfun, Adafruit, Jameco, and Arduino all do, and I’m sure that there are many others. If you like video tutorials, just doing video searches on Google can turn up a lot. I’ve found that Wikipedia often provides very substantial tutorials on technical topics, if you are looking for theory, rather than how-to instructions. When trying to figure out how to do something, I often use Google to look for answers. It may take some time to find the right keywords for the search, and the first few sites I check are often not very useful—developing good search skills is very useful if you want to be able to teach yourself new skills of any sort. There are a lot of free resources on the web for learning electronics, but finding a good balance between theory and hands-on practice is difficult. A lot of the textbook-like sites are heavy on theory but provide little help for solving your practical problems, and a lot of the hands-on sites omit the crucial information you need to do your own designs, expecting you to just copy what they have done without learning how to do the design yourself. A lot of people like the Instructables site (http://www.instructables.com/), but I’ve generally found the presentations there to be a bit disappointing, providing just instructions for copying what they have done (and often doing things in awkward ways). It may be mainly a matter of taste, though, so you should see whether the presentations are to your taste. Make magazine (https://makezine.com/) often has ideas for projects over a range of difficulty from kid-friendly to expert maker. I tend to find the magazine inspiring, but I’ve never been tempted to make any of the projects they’ve written articles about. Their more general articles on how to do things (tools and techniques) have been of more use to me. Their material is generally well written, but the rate of technical errors is a bit high—I would not trust them as a sole source on anything. Instructables has a lot of ideas for things to do, though separating the crap from the reasonable ideas is often difficult. If you are interested in picking up fabric art skills, Santa Cruz has some active fiber-arts groups, like Santa Cruz Handweavers’ Guild (which I used to belong to), which supports spinners, braiders, felters, and dyers as well as weavers. They can be an excellent resource for information and ideas. Visiting stores that sell hand-made goods (pottery, handweaving, woodwork, jewelry, … ) can be a good way to see what other people are doing. Some of it will seem way beyond anything you can do (that’s ok—hobbyists don’t have to be able to do everything as well as people who dedicate their lives to something), but some things will spark ideas for projects you can do. There are huge numbers of forums and blogs, and I’m not going to try to list them all. Almost everyone making things for the hobbyist market sponsors a forum for their customers. These product forums are often good places to ask for help with technical details that can be hard to find in the documentation of the products. The Arduino, Sparkfun, Adafruit, and PJRC forums are ones I have visited, though I’m not active on any of them. In some cases, the only place important features are documented are on these forums (PJRC, who make the Teensy boards, are particularly bad about documenting some things only on the forum). 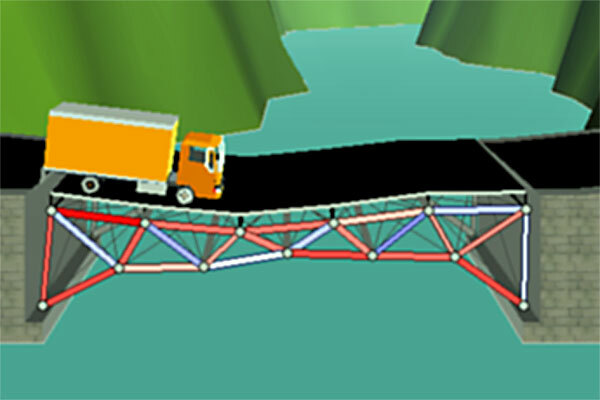 It looks like I won’t be playing with the bridge-design contest software this year. I downloaded the software from https://bridgecontest.org/resources/download/, but was unable to run it. They’ve made their software so that it only runs on Mac OS 10.7.3 or newer, but my MacBook Pro is running OS 10.6.8. I suspect that there are a lot of schools out there running old Mac software also, so making the software run only on the new Macs is cutting out a lot of users (particularly in the less-wealthy school districts). This is a common problem with software developers—because they invest in the latest hardware and software, they assume that everyone else is able and willing to do so. More likely, they don’t even think about the number of people they cut out by writing programs that only run on recent computers, nor who those people are. Note: there is a newer iMac in the household, and now that my son is in college I can get time on it, so I might install the bridge-design software there. I know that I could also upgrade my 10.6.8 Mac (possibly even for free still), but I’ve heard from a number of students who did the upgrade last year or the year before, that the resulting laptop was far less reliable and much of their older software was broken by the “upgrade”. I’m not willing to have to replace large swaths of my functioning software just to play one game. I’ll put up with the pain of major changes to the operating system the next time I replace the hardware. I had a discussion once with a remote colleague who said that he was worried the graduates of his own institution weren’t his first choice to supervise for PhDs as they weren’t good enough. I wonder whose fault he thought that was? Nick’s implied message was that it was the duty of the professors to make the undergrads they taught be good enough to go on for PhDs. But I’m not sure he’s right here. We do not need huge numbers of new PhDs—some, but not nearly as many as are being graduated from BS programs. Only about 10% of undergrads (or less) should be going on for PhDs, so the majority of graduates from any institution should not be “first choice to supervise for PhDs”. We should be bringing up as PhDs those most likely to be productive researchers and university faculty, and encouraging other students to find productive lives outside of academia (there is a world outside academia, though many professors prefer to ignore it). If most of the undergrads graduating are top candidates for PhD programs, then perhaps the criteria for PhD candidates are wrong—or the undergraduate program is too small and selective, so that students who would benefit from it are being excluded. I’m an engineering professor, and in most engineering fields the working degrees are the BS and the MS—the PhD is reserved for cutting-edge research that is not expected to result in products any time soon and for university teaching. I would consider myself a failure as an engineering professor if none of my students went on to become working engineers, but all went into academia. I expect many of the best students not to be well-suited for PhD degrees—they want to go out into the real world and solve real problems (sometimes to make money, sometimes to save the world, sometimes just for the joy of solving problems). The best PhD candidates are often not the best engineering students, because a PhD candidate has to be willing to work on an esoteric problem for a really long time with no promise of success, while good engineering often calls for quick prototyping and rapid development, dropping unproductive projects quickly, before they cost too much—not long-term projects that may never pay off. So, while I certainly want some of my undergrad students to go into academia and to be top choices for PhD programs, I’m happy if most of them are not suited for PhDs, as long as they have acquired an engineer’s problem-solving mindset, enough skills to get them started in a job, and a lifelong habit of picking up new knowledge and skills. 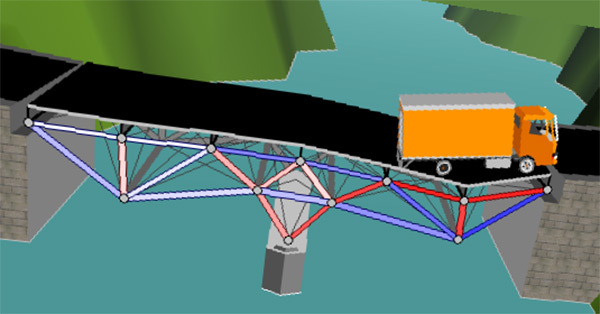 Bridge design costing about $169.9k in the 2013 contest. $167.3k bridge design for West Point Bridge Designer 2014. This design is currently 12 of 41 in the open contest, so clearly one can do better. I don’t expect it to stay high on the leaderboard for long. It would already be much worse than that on the consolidated board, since the top 10 on the open board only fall in the top 50 on the consolidated one. I think that the contest would be more interesting to me if they had provided an API for testing bridges. Then the challenge would be to write bridge optimization software that explored the design space much more thoroughly and tweaked the designs. It might be possible to do that this year, as the source code is available from sourceforge. I’m not interested enough in the optimization problem to try to interface to their Java code, but it might be a good way to make a college-level version of the Bridge Designer Contest. Here is his first PC board design, populated and mounted on the Freedom KL25Z board. The 5cm×5cm board (the cheap size from Iteadstudio) is a bit smaller than the KL25Z board is wide, so it only plugs in on one side (there is a screw acting as a spacer to keep it from being a cantilever). He has not yet mounted the Bluetooth module. The prototype board has many differences from the final design: no battery, no battery charger, no buck/boost regulator, no flash memory, no processor, screw terminals instead of jacks—even the LED driver chip is different, since the chip he plans to use is only available as a surface-mount device. But there is enough of the design here to start demoing and writing code. They are hoping to keep the final board below 5cm×5cm, so as to get low PC board prices even in very small production runs. That will mean all surface-mount parts, so I think I’ll have to get a hot-air rework tool so that they can assemble a prototype—I’ve been thinking that I might want one for myself to play with surface mount designs, so this isn’t really a hardship. 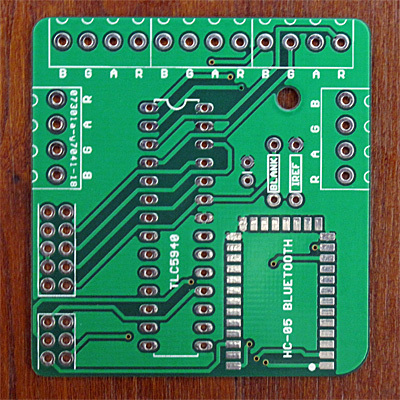 The top view of the board with the screw terminal to be mounted on the top and sides, the header on the lower left, and the Bluetooth module on lower right. The hole near the top right is for the screw that acts as a spacer. This is what the glove looks like with the five RGB LEDs lit up (I understand that the final design will have more LEDs—but the through-hole driver chip has limited pinout). They don’t have the user interface written yet, so the lights were set up by a quick-and-dirty Python script talking to the KL25Z board over a USB cable (which is also supplying power). They have not implemented programmable flashing yet, but the pulse-width modulation (PWM) frequency is set very low here (much lower than what they intend to use in the final design), so that one gets a stroboscopic effect even with steady light settings, just from the PWM. That’s not my son in the picture, but the high-school student who started the project—my son has done most of the electronics and programming, but did not originate the idea. 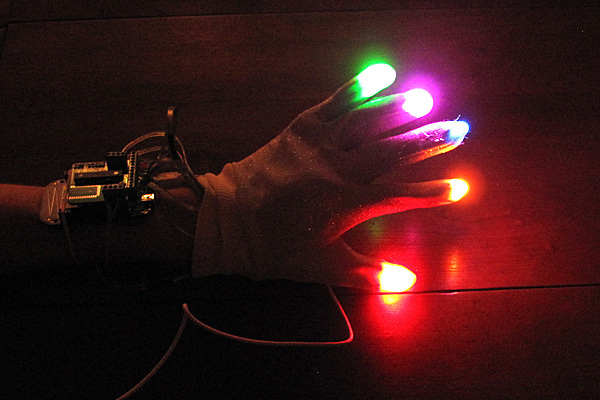 The two teens spent a big chunk of the day wiring up the LEDs and writing a small test program, as they want to demo the glove tomorrow for the back-to-school event. It may also be an enticement for teens to join an Arduino/microcontroller club—look at the cool stuff you can learn to make! 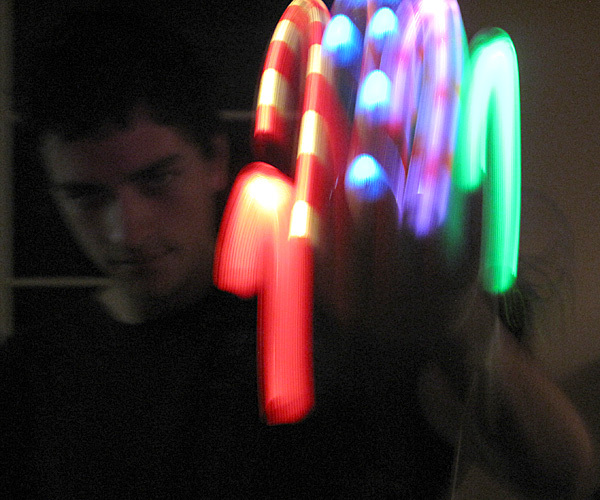 Another view of the prototype light glove in action. Once they got the demo working, they invited over a third member of the team to do some brainstorming about what else needs to be done (and how they’ll do it). It looks like they’ll be talking half the night. Since it is clear that my son will be spending a lot of time on this engineering project this year, we decided to make it part of his official school work. In addition to the engineering design work, he’ll also do some a paper for his econ course (on pricing the components and manufacturing, and setting a retail price for the gloves), and papers for a tech writing course. His first tech writing assignment is to write up a description of the color space he decided to use for representation of colors in the program, and why he chose that color space out of the dozens available. He spent a week thinking about color spaces anyway, before settling on a commonly chosen one—so writing up that reasoning for the other members of his team will be a good writing exercise.